This Tour will show you the easyest way to find Heat treatment Diagrams in the Total Materia Database. 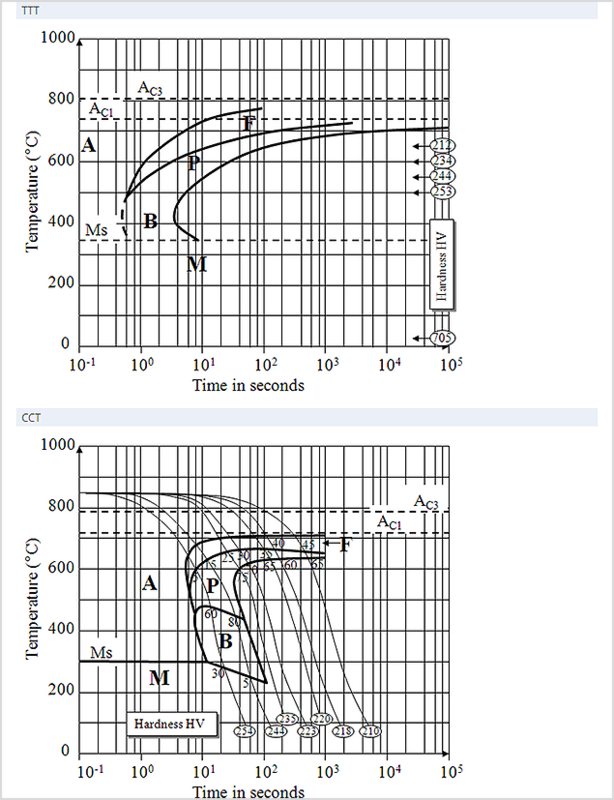 At the moment the Database includes six different types of diagrams (Hardenability, Tempering, Hardness-Tempering, TTT, CCT and CCT modified). 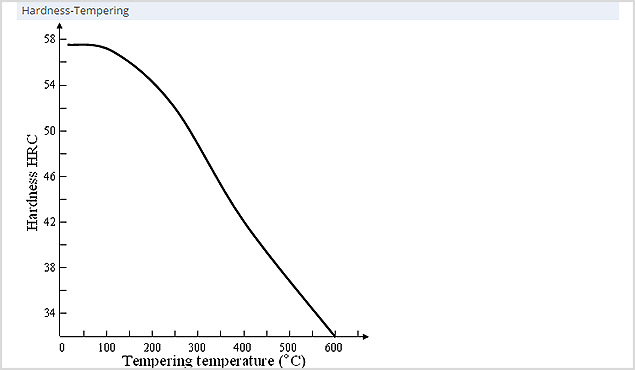 In this example, suppose that you want to find materials which includes diagrams specified by EN standard. 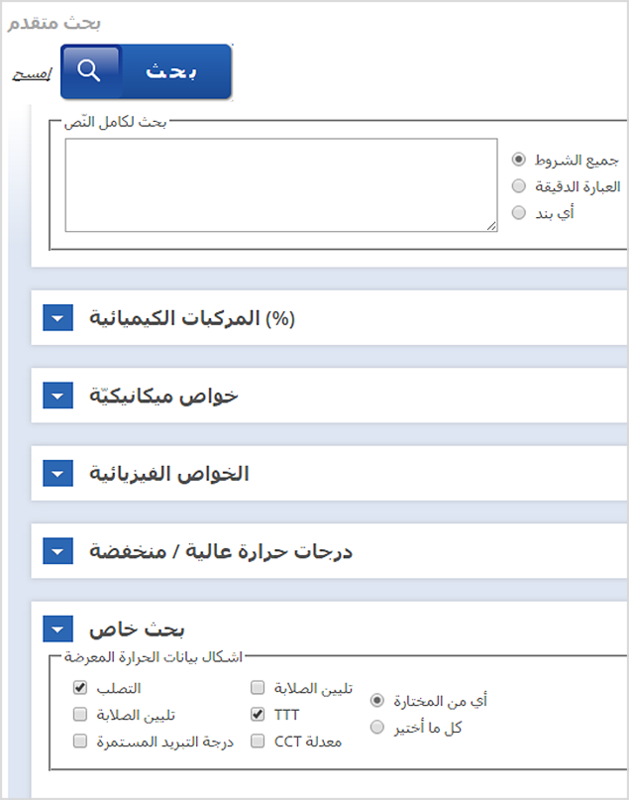 To select materials by special properties, you are using Special Search check boxes in the Advanced Search module. To define the search criteria, all you have to do is to select EN from the Country pop-up list and to check Heat Treatment Diagram box, situated in the Special Search group in the lower part of the window. After you click Submit button, Total Materia search engine will select all EN steels which contain heat treatment diagrams and display them in the list, in a few seconds. To view properties of some specific material from the list, click on its designation, and follow the usual procedure, as described in Tour 1. 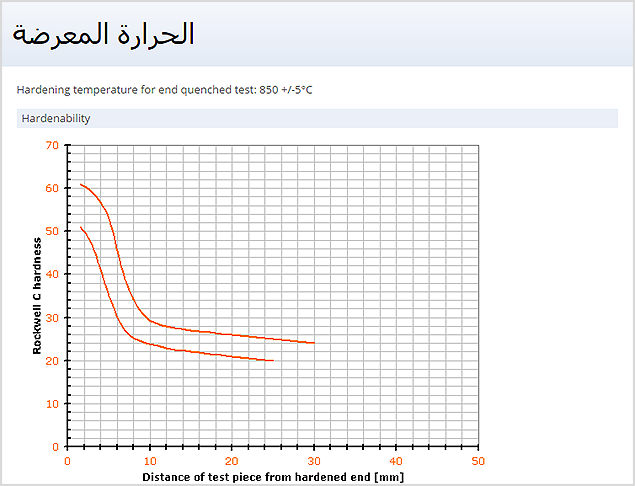 To get diagrams from within Heat Tratment window, simply click Heat Tratment link. As a result, you can see all available diagrams for selected material.